International Conference 'Geometry Days in Novosibirsk — 2018', Novosibirsk, Russia, September 19-22, 2018. Conference on Scientific Computing and Approximation, Purdue Department of Computer Science, 30.03.2018. Конференција за образованието по природни науки и математика Скопје, 23 - 24. март 2018.
International conference 'Algebra and Analysis with Application', Ohrid, Macedonia, July 1-4, 2018. CASTR 2017 conference and Mini-Symposium on Classical and Celestial Mechanics, Siedlce, Poland, October 18 – 22, 2017. Научнотехнолошке и друштвене промјене и њихов утицај на систем образовања и васпитања, 11.11.2016. 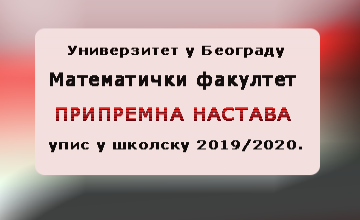 XII Belarusian Mathematical Conference, Minsk, Belarus, September 5-10, 2016. 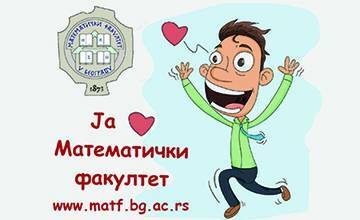 Mathematics: Applied International Conference (MA 2016), Ohrid, August 21-24, 2016. 5th International conference on Applied Internet and Information Technologies - AIIT2016, Македонија, 3. и 4. јун 2016. Geometry and Physics of Spatial Random Systems, Bad Herrenalb (Black Forest/Germany), 6-11 Sept. 2015. 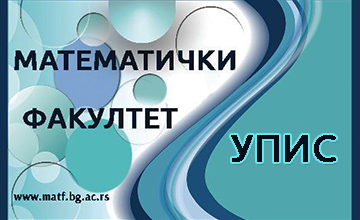 11th International Symposium on Geometric Function Theory and Applications, Ohrid, 24-27 August 2015. 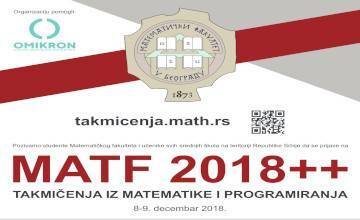 Пета математичка конференција Републике Српске, Требиње, 5. и 6. јун 2015. 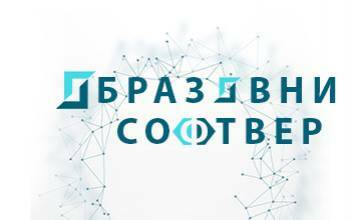 Балканаски коннгрес информатичара BCI 2013. 1st Electronic International Interdisciplinary Conference (EIIC 2012, Virtual Conference), September 3. - 7. September 2012. Друга математичка конференција Републике Српске, Требиње, 8-9 јун 2012. Научни скуп "Наука и традиција", Филозофски факултет Пале, 18. и 19. мај 2012. VIII International Symposium on Geometric Function Theory and Applications, Ohrid, Republic of Macedonia, 27-31 August 2012. 6th European Congress of Mathematics, Kraków, July 2-7, 2012. 24th British Combinatorial Conference, Royal Holloway, University of London, 30 June-5 July 2013.
International Workshop 'Applied Methods of Statistical Analysis, Simulations and Statistical Inference' AMSA 2011, Novosibirsk State Technical University, Russia, 20-22 September, 2011. Riemannian Geometry and Applications 'RIGA 2011', Bucharest, May 10-14, 2011. Advanced School on High Performance and Grid Computing, Trieste, Italy Dates: 11-22. April 2011. European Nonlinear oscillation Conference ENOC 2011, Rome, Italy 2011.
International Student Conference on Pure and Applied Mathematics, Iasi, Romania, July 12-16, 2009.
International Conference of Tensor Society (1st Announce), Tokyo, Japan, September 5-10, 2010. The Second International Workshop on Information Quality and Quality of Service for Pervasive Computing, Mannheim, Germany, March 29 - April 2, 2010. 7th Conference on Numerical Methods and Applications NMA10, Borovets, Bulgaria, August 20-24, 2010. The first symposium on theoretical modeling and image processing TMIP 2010, Las Vegas, Nevada, USA, April 12-14, 2010. 3rd Conference on Nonlinear Science and Complexity-NSC10, Cankaya University, Ankara, Turkey, 28- 31 July, 2010. Satellite Meeting of the XVI International Congress on Mathematical Physics, Prague, 3-8 August, 2009.